For the lodging industry, 2010 was a year of recovery as the US economy showed signs of relief. 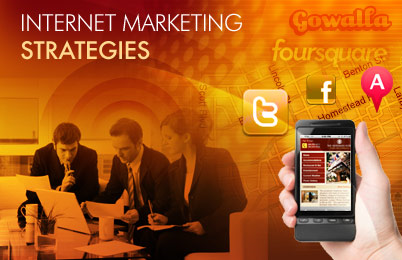 As 2011 kicks off, we find that internet marketing is an even more important part of the overall marketing portfolio of our hotels. One major shift in 2010 was the significant gain in popularity of social media channels, and we find that social media has firmly positioned itself in the tool chest for ecommerce managers and internet marketers. The smart hotelier needs to keep laser sharp focus on the fundamental shift in ways customers are seeking information and channels that drive maximum Return on Investment (ROI). Here are Milestone’s top ten eCommerce promotion ideas, channels, and strategies that we recommend to hoteliers in 2011. These tips and insights are based on carefully analyzing trends in the search engines and channels that are driving maximum returns for Milestone’s clients and partners. 1. Search friendly website design has new meaning – fast and integrated. Google confirmed last year that site download speed is one of the most important ranking factors in organic search. 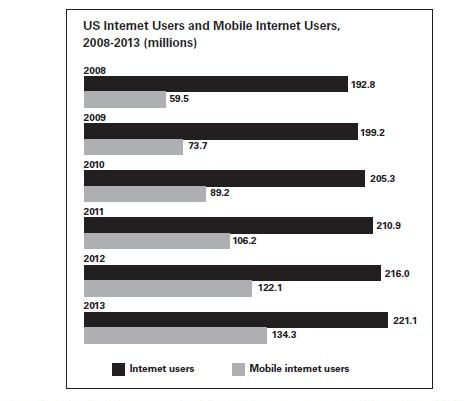 People are using several different tools such as mobile phones, iPads, and tablets to consume information. Search engines want users to have a good experience. A good experience translates into a site that has relevant and compelling content, is quick to download, can be found easily, and is compatible across all browsers. Heavy graphics, animation, and flash demos cause your site to perform slowly. Sites that are built keeping these guidelines in mind will deliver better user experiences, will perform better on search engines, and ultimately drive higher ROI. As consumption of information on diverse platforms continues to increase, an integrated approach to providing consistent messages across all channels is crucial. It is important to think about your target audience, which channels they are utilizing, and develop integrated promotion plans across all channels. For example, your online offers and your social profiles should be promoted on your website and offline marketing initiatives. 2. Improve Conversion and Usability – With an increasing volume of information that hoteliers are trying to provide travelers, it is key for hotels to focus on usability and conversion, even more so than they have done in previous years. As marketers, we tend to keep adding promotions, banners to promote offers, specials, and USPs for a property. We forget that the human brain can only consume limited information. It is important to take a holistic approach and prioritize information. Good website architecture and organized content improves site usability and crawlability for search engines. Conversion optimization includes eye tracking studies, analyzing SEO and SEM strategy and finding out top queries, top site pages and top sites producing traffic. All these data points help in developing a step-by-step strategy to improve conversion and usability. Developing a strong architecture helps keep your site organized. 3. Local Search – prioritize local markets across all marketing initiatives such as SEO, PPC, and Social – Search is becoming more local in nature. Small businesses and hoteliers have an opportunity to compete with giants and OTAs by focusing efforts in local markets. Google recently merged local search results with organic search results. Local results still show at the top of the results page for any search query. Focusing on local markets includes content localization, optimizing all SEO elements for local search, geo-targeting through paid search, socialization on hyperlocal channels, connecting with local businesses in social networking sites, etc. 5. Real Time Search – Natural Ranking (SEO) becomes more real, local and social – Building strong sites with compelling fresh content, and quality incoming links will always be essential for any site. With search engines launching real time indexing, it has become crucial for hoteliers to treat their site as an information platform for fresh content. Adding real time search functionality to your site, capability to generate user reviews, launching contests, blogging about the local area, events, and happenings helps build buzz, fresh content, and quality links. Crawlable maps, photo galleries, videos, and press releases are creative ways to distribute content on different channels. 6. Image and Video Search -Image and Video search is an effective way to capitalize on different search traffic. Sites such as Flickr and Facebook are enabling image search in a significant manner. There is a lot of consumption of images on different search engines. All the search engines have launched image search and sitemap feeds for indexing images. Hoteliers can leverage image search by adding searchable photo galleries, adding images for things to do on your site, participating in image sharing sites such as Flickr and Picasa, and adding images on social channels such as Facebook. Online Video – People are spending more time watching online videos. According to recent studies by Nielson (August 2010), approximately 70% of global online consumers watch online videos. (http://blog.nielsen.com/nielsenwire/global/report-how-we-watch-the-global-state-of-video-consumption/) In June of 2010, more than 10 billion videos were streamed in the US alone. YouTube continues to be one of the main players in the market along with Google Video and several others. Videos draw more visitors to your site and gain greater visibility as search engines move towards displaying universal search results. Video search is still less competitive in nature and can be super effective. Hoteliers do not need to invest in producing professional videos. Videos can be done in-house by using a flip camera on any relevant topics, such as top ten things to do in the area, local events, famous recipes, interviews of the head housekeeping staff, or best practices deployed at your hotel. Videos can be produced on any subject as long as it is engaging and offers value to the customer. The idea is to come up with one or two short compelling videos every quarter. Once videos are produced, it is important to optimize and promote them in video search engines. 7. Mobile – As things stand now, mobile queries represent about 10% of all queries made on Google. Mobile search continues to be local in nature. Kelsey group has reported that mobile local advertising in 2011 will reach $692 million and climb steadily to over $2 billion by 2014. People are using mobile devices to conduct searches, as well as share content, connect with friends and browse the web. Anytime, I take a road trip my mobile is my compass! Google has recently announced that the mobile market is their priority. We are seeing a steady growth in traffic coming to our client sites from mobile phones and smart phones. Hoteliers can leverage the mobile market by optimizing their site for mobile phones, improving the download speed of their site by avoiding heavy graphics and flash, making sure their site is mobile compatible, and promoting mobile sites across all platforms including paid, social, and local. Location based services such as Foursquare and Facebook Places are also helping marketers to reach sets of customers who are active on these channels in their local community. Offering mobile specific coupons and specials help hoteliers connect with a different set of customers who are active in the mobile space. 8. Embracing Social Media – it’s here to stay! 93% of social media users expect companies to have a social presence. 85% of social media users want companies to interact with them on social sites. A well-planned social initiative can turn fans into brand evangelists. Google (http://www.youtube.com/watch?v=ofhwPC-5Ub4&feature=player_embedded) and Bing have confirmed that social sharing directly impacts organic rankings. Listen – Before you start a conversation, always know what is being said about you. Tools range from simple (Google.com/RealTime) to advanced (eBuzzConnect.com) and allow you to monitor your brand on many channels at once. Connect – Market your social channels in the offline world. Use links in email newsletters, links from your website, and include “Connect with us” icons on all print marketing. Integrate – Connect your social channels in a way that maximizes your resources and minimizes your time. Claim your brand name on all well known social networks to ensure you control your message. Manage – It is important to listen and respond to users. Review sites are driving more organic traffic, so be positive and encourage reviews. Thank fans and reach out to customers with any concerns. Track – Define your ROI goals before starting your campaign. Know what you hope to accomplish so you can measure the success, whether it’s increasing fans, driving web traffic, increasing organic rankings, or anything you can define and measure. 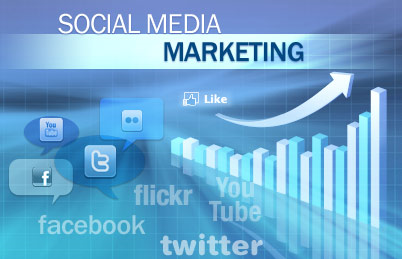 Having measurable goals is the key to a successful social media campaign. 9. Hyperlocal and Social – Hyperlocal is really an extension of your local social search marketing. Hyperlocal content is typically intended for residents of a particular community, region, city, town, village, or neighborhood. Hyperlocal includes sites such as Foursquare, Facebook Places, Gowalla and many others. Social Media provides an ideal platform to build a Hyperlocal presence and reward users for connecting and engaging with you. As search is becoming more local in nature, we are seeing much more consumption on these channels. More and more businesses are incentivizing customers on hyperlocal sites. As a first step, hotelier needs to claim their listings on these channels. Once listings are claimed, cleaned, and enhanced, channels can be used to offer special incentives such as coupons, hot deals, etc. 10. Utilizing Blogs to connect and promote time sensitive information – Search engines are giving more value to real-time fresh content. Blogs offer a RSS (rapid syndication) capability, where search engines can discover anything posted on a blog in an instant. Blogs are similar to interactive online journals and help in elevating ranking with search engines. In our opinion, a blog is the perfect first step a business should take towards establishing their social media presence. By integrating blogs with various social channels, businesses can ensure that they are communicating consistent messages across all channels without duplicating their efforts. Hotels should think of developing a blog to connect with customers, posting time sensitive information such as events and weekly specials. As a hotelier, it is important to decide where to focus your energies given the increasing opportunities and channels where you can market your hotels. It is key to evaluate ROI across all traditional online and offline channels and to capitalize on the immense advantages that new emerging media offers. 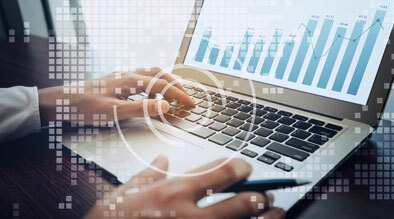 These tips can help you market smarter and help you embrace innovative tools and technologies to stay ahead of the game and improve your returns! We wish all the readers the very best with their eCommerce strategies in 2011. Thanks for this article! I hope to share with others on our hospitality headlines site. Thanks Sonia. We’d love it if you would share on your site! Benu: I was with you lock step throughout your post here until it came to point 6: online video, and then I fell off my chair. Walking around with a flip camera? Really? I mean…really? There’s already a whole world of digital landfill out there! The good news is that video on the web keeps people on your site longer. The bad news is that video on the web keeps people on your site longer. People vote yes or no with a click. Please simply visit our beta site to see firsthand the difference that a professionally produced video can bring to the table compared to what you’re recommending. We work with our clients to produce great custom content on just about any budget. Thanks for a great, insightful blog post, but please…reconsider your advice on video production! Thanks for your comment. While I agree with your point in some areas, I feel it is entirely possible to make high quality and engaging videos without having to spend lots of money with an external production company. Will a bad idea on a flip camera bring more traffic? No. But neither will a bad idea that is shot and edited professionally. And while a good concept may look better from a professional company, a good idea done with a smaller budget will still resonate with viewers. Videos, like anything else on the web, are all about quality of content. Yes, there must be a minimum standard of visual quality for the clip to be watchable, but if the content is worth watching, then people will watch and share (to with hundreds of poor quality viral videos all across the internet can attest). Mike, good point about quality being the driver, at least we find common ground there. But please know that at our shop we don’t allow bad ideas to get very far into production. That speaks to the purview of the professional consult; we have the experience to gently lead (even bad ideas into good ones)…especially when it comes to our specific competency of convergence of brand and the development of compelling visual assets for the brand in the interactive space. And that’s what makes the difference between professional production and a hotel manager walking around interviewing his housekeeping manager or a chef about a cheeseburger recipe as you suggest. Also, I’m confused about your thought that a video’s success is somehow asociated with becoming a viral hit. Is that really the point in the B2B and B2C world of branding? There is a difference between user-generated video and a professional video representing a brand (including production/post production elements and assets like direction, lighting, editing, compositing, illustration, animation, sound design, scoring…) and when it comes to representing a hotel (yes, even an independent hotel chain of one needs a brand) – better to suggest to your readers to engage a pro rather than to post DIY fodder in the hope of achieving some sort of elusive, undefinable viral success with it. What do you think about adding Live chat to the website in order to improve conversion? Yesterday I was reading this article about how this can be very beneficial: https://visitlead.com/blog/articles/livechat-for-hotel/. Specially when it comes to asking for feedback and boosting the direct bookings.